It’s the new year, and we’ve all resolved to be healthier, slimmer, better versions of ourselves this time. 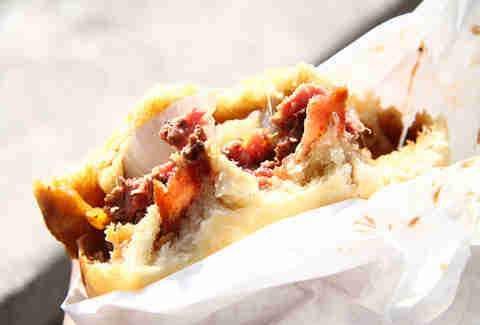 So to truly test & strengthen your resolve, take a look at Paris’s fattest foods. Just so you know what to avoid. The French aren’t big on fried food, but then you wouldn't think they'd be big on restaurants with punny names, yet here we are in The Sunken Chip (the new “it” place in the Canal St. Martin neighborhood!) 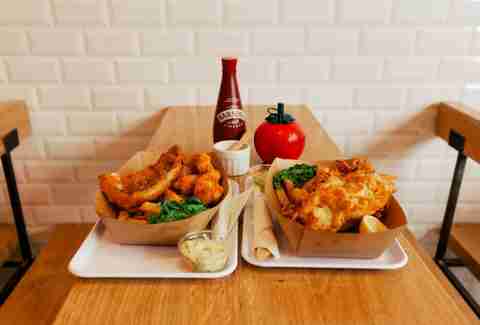 eating deep-fried, deep-sea goodness. 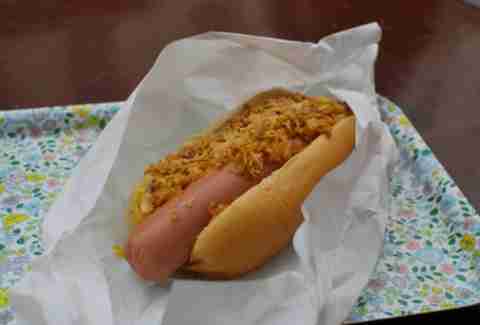 You would think that a basic hot dog wouldn’t hit home with Parisians, but for some odd reason they do, and loaded hot dogs have become so popular that Hutch has two locations. You can get a Manhattan, topped off w/ chili, or the Brooklyn with a huge slice of cheddar slapped on it. 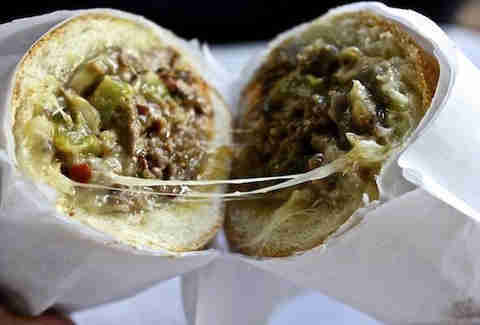 A Parisian Philly cheese steak? Good meat and melted cheese goes a long way here, all the way, in fact, to Freddie’s Deli. There’s even house-made pastrami, used to make huge sandos, plus brownies, and Oreo cookie cheesecake. Spend enough time here and you might forget what country you’re in. So what makes up these "Multiple Floors"? 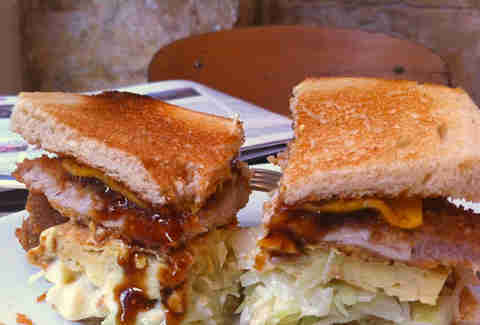 Melted cheese, breaded pork, an omelet, sweet & sour cabbage, cheese, and a special sauce. It’s served only on Mondays & Saturdays (but it’s available for takeout), meaning you might actually still be able to handle walking up multiple floors yourself. Ok, so the burger trend is a thing in Paris, but if you want to get one of the originals, you track down the Camion Qui Fume food truck. And when you need to outdo yourself in the eating category, you get the Barbecue, a burger loaded with bacon, onion rings, and barbecue sauce. At only 8€ you might as well get two. 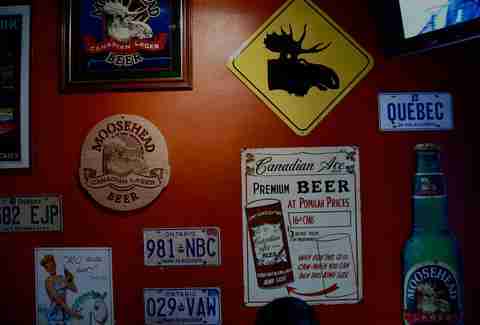 So poutine is a French-Canadian thing, but with plenty of expats pining for Canada, you can get some good ol' French-French-Canadian cooking at The Moose. There are seven kinds of poutine to choose from incl. 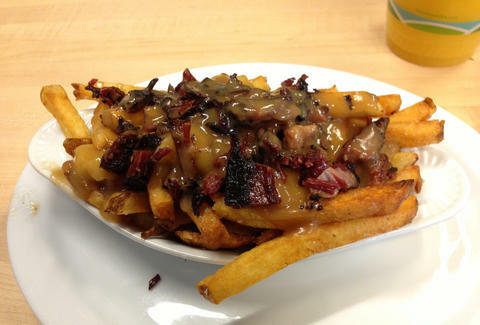 the Montreal Smoked Meat Poutine and the Quebec Poutine which has your fries doused in bacon. Skip the classic French breakfast of coffee and a cigarette, and go for the breakfast sando w/ smoked bacon at Frenchie To Go. Add an egg and a layer of cheddar cheese for good measure. 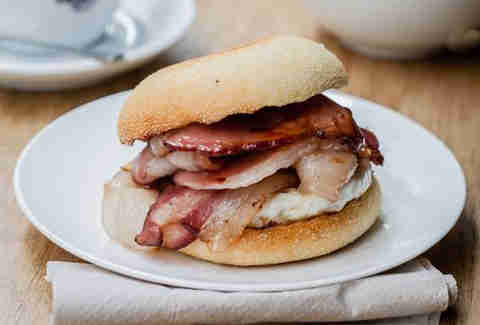 And if you really need a killer breakfast, get a bacon and maple syrup scone as well.